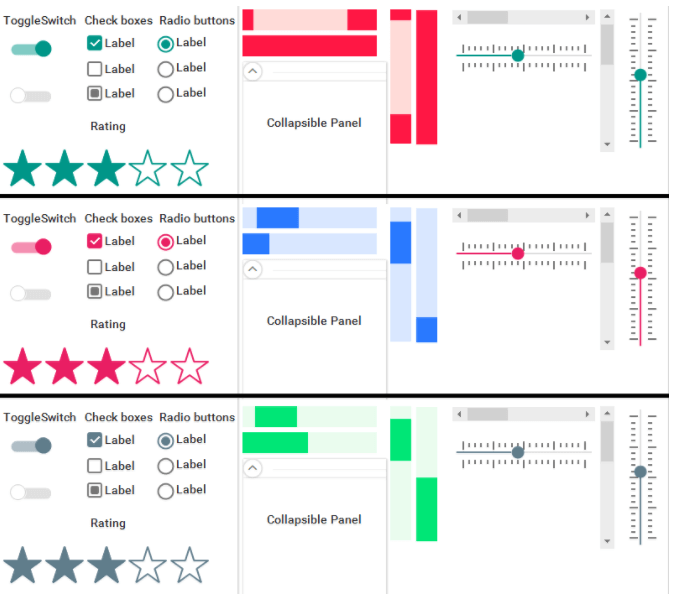 Visual Style Builder provides an easy way to generate different color variations of the Material theme. 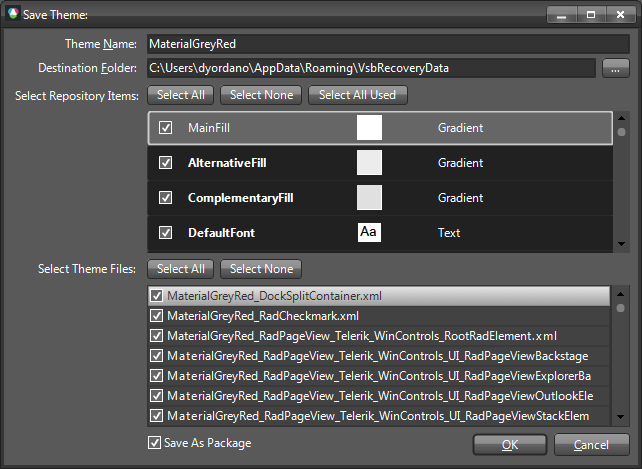 Material theme blending uses the basic Material theme by executing a series of predefined commands. 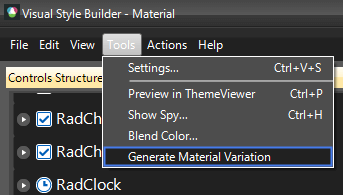 If you already have loaded a customized Material theme (but not a Material variation) it will remain loaded when generating a Material variation. 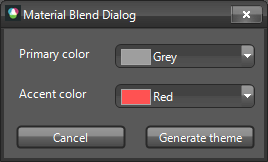 If you click the Generate theme button, a new variation of the Material theme will be exported using the selected colors.